Being a pet lover and a modern design lover is not always an easy combination when you walk down the aisles of any big box pet store. 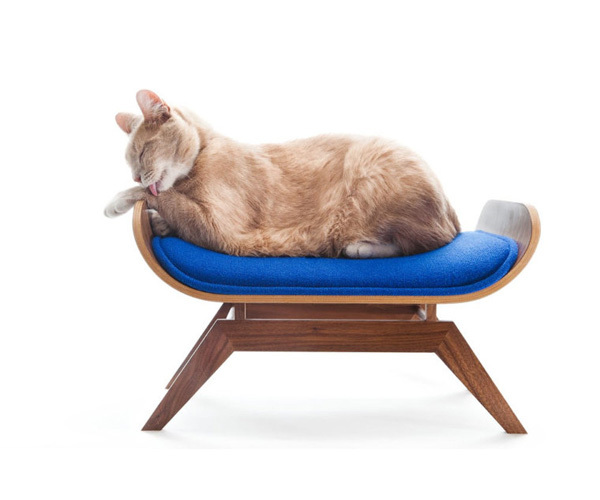 Luckily, Katherine Webster has the talents and heart to make all of us and our cats happy with a lounge that has classic mid-century design. Kat carries the compassion necessary to know how to make an animal comfy by being a pet owner, volunteer at local animal shelters, and foster owner for many pets in need. 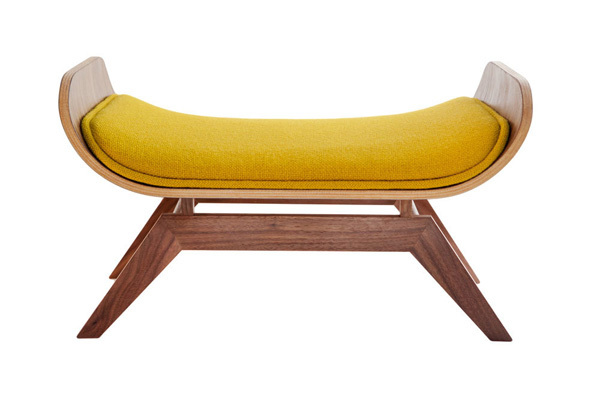 She has the skill to cook up a beautiful design with a degree in architecture from Tulane. She has since stayed in New Orleans where each lounge is built. 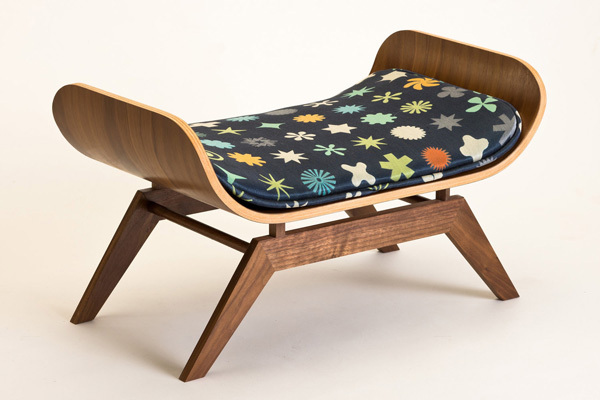 The legs and base are made from an American black walnut and the Eames inspired curved plywood comes from Massachusetts. 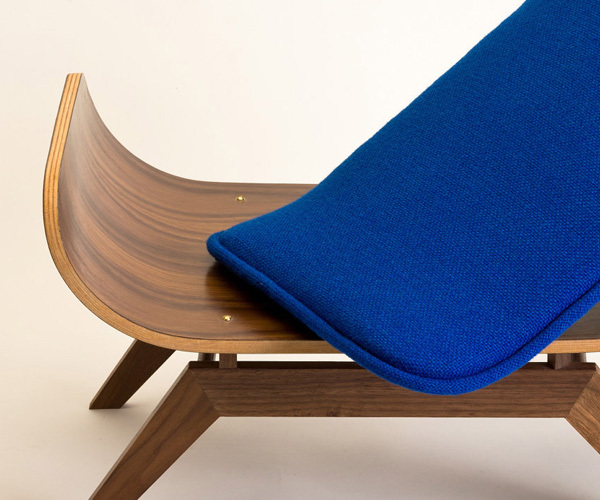 The cushions are also American made and upholstered using the fine fabric of Kvadrat from Denmark. The cushions stay in place using magnets so kitty won’t slide right off his or her newly beloved perch. 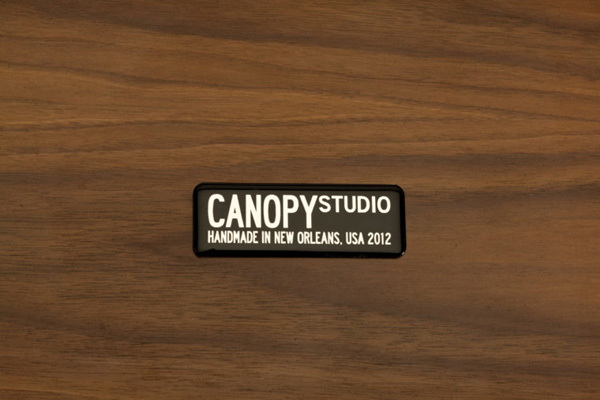 Available on Etsy at CANOPYstudio.